SO₂ pads are used to control Botrytis cinerea (common fungus on table grapes) from forming on the grapes as well as keep the stems green; by controlling the development of Botrytis cinerea, table grapes can be kept fresh during storage and transportation. 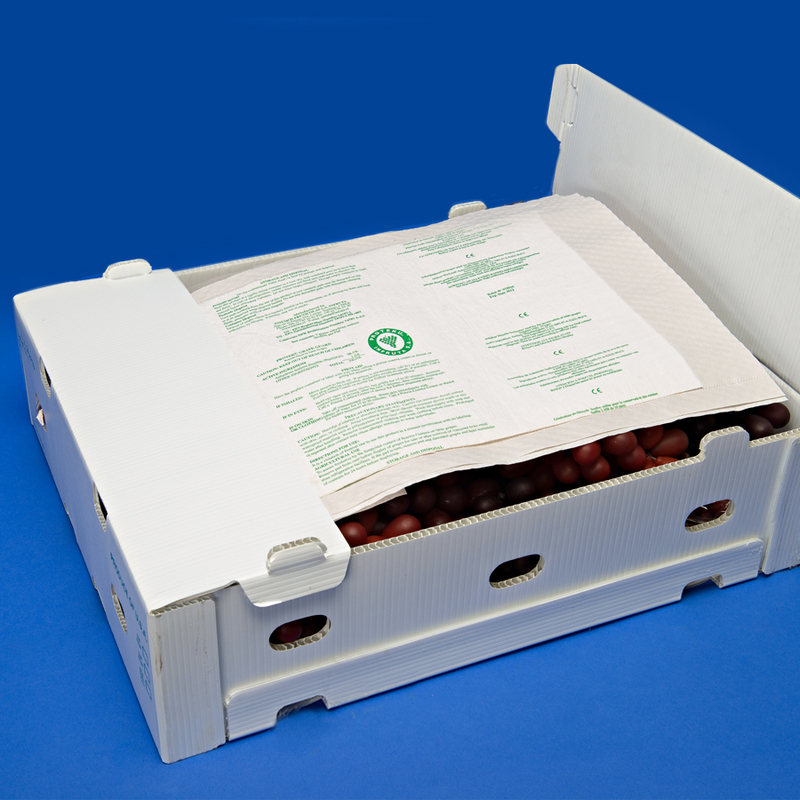 SO₂ pads are the most practical and cost effective devices that can release small quantities of SO₂, maintaining the fruit to stay fresh for long periods of time after harvest. We currently sell SO₂ pads in both slow and dual release as well as being composed of either paper material or plastic material. The SO₂ pads can be used in any box size; our dual release SO₂ pad (made from paper material) measures 20cm x 38cm while our single release SO₂ pad (made from plastic material) measures 25cm x 45cm.